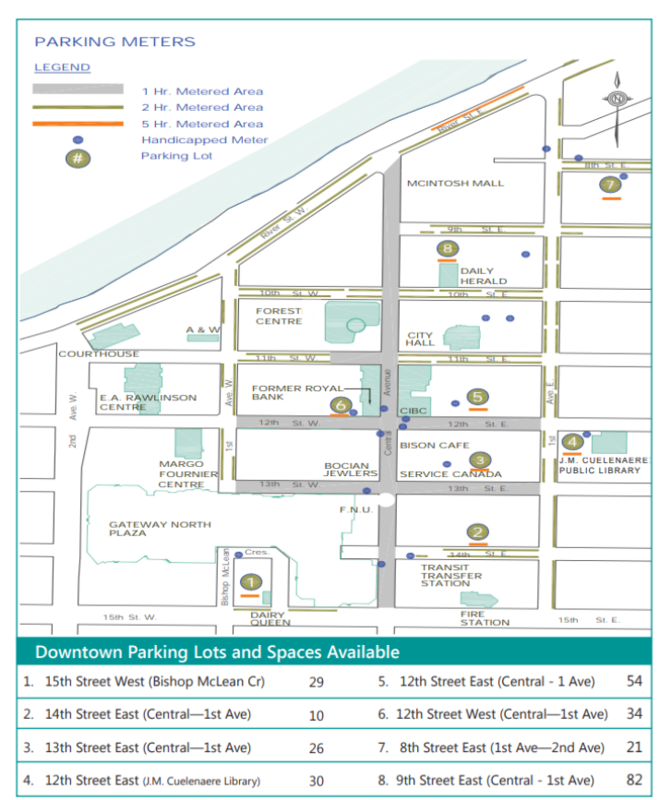 Parking in any downtown can be a hassle for some, but it doesn’t have to be. There are nearly 3000 parking stalls in downtown Prince Albert for your convenience. Please take a look at the brochure below to find a solution to suit your parking needs. The City of Prince Albert is pleased to be able to offer the Prince Albert METERCARD. The METERCARDs offer a cashless way to pay for parking in the downtown area. Your first metercard comes preloaded with $20. They are reloadable in $10 increments (up to $100) and can be purchased at City Hall - 1084 Central Avenue. A one-time $5 activation fee is required for every new Metercard purchased. Once the card is empty, you can reload it to avoid paying another activation fee. ​Free parking on weekends and holidays. For more detailed information please visit the City of Prince Albert website.